Mirror Mirror vs. Huntsman: Which Snow White Film is Fairest? Mirror Mirror has been released and the battle of the Snow White movies has begun. On June 1, we get Snow White and the Huntsman, which carries on the Hollywood legacy of films with the same subject matter coming out like they do in Noah's Ark -- two by two -- as Julia Roberts told us in our interview (Remember Armageddon and Deep Impact?). 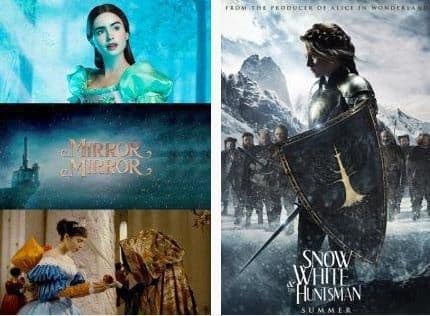 The two are clearly very different incarnations of the classic fairy tale with Mirror Mirror aiming itself squarely at families and Huntsman garnering the action movie crowd. Yet the comparisons abound. We want to know your thoughts on each film and which you find the fairest of them all? Which Snow White movie will you see?